We are the largest producer & distributor of Short Films & Independent Films from India. Six Sigma Films have also launched "INDIA'S BIGGEST FILM FUNDING PLATFORM", Film Funding Network. Six Sigma Films is known for creating path-breaking and diverse short films with independent filmmakers. Our channel is ranked 7th in Top Short Film YouTube Channels worldwide. We have nearly 1000 short films, documentaries & videos, over 100 million views and counting. Nearly 50 films have crossed Million views. 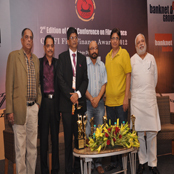 Six Sigma Films regularly receives mentions in leading publications for their work. A number of short Films & videos on our popular YouTube Channel have been covered by print media & popular websites worldwide. This has helped quite a few of short films, documentaries & videos on our channel in going viral. 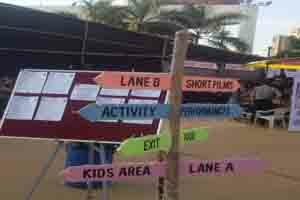 Six Sigma Films is a major film production house with large network in industry. 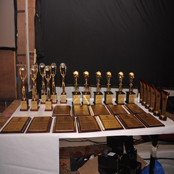 We are the top organizers of Film Conferences/Awards & Festivals. 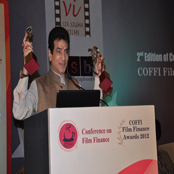 We have conceptualized and organized first ever film finance conference & awards in India (COFFI). We have successfully organized more than 10 short film festivals. 1. Unlike other distribution platforms, we are production house, filmmaker friendly and understand the business of films. Please note that we only take distribution rights. IPR & ownership of film continue with filmmakers. 2. We are the most sought after channel for those who want to make it big in Bollywood & TV Industry. Number of promising Directors & Actors who have exhibited their short films on our channel are now moving up the ladder in the Industry. 3. Talented filmmakers who use our platform to showcase their short films can get an opportunity to work in our future projects including the new initiative of producing original video content for our channel and other partners. 4. Your film is showcased/uploaded on one of the Top Short Film YouTube Channels worldwide. 5. 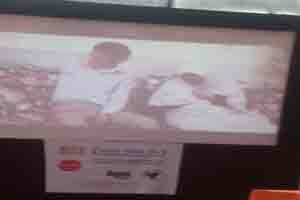 Visibility of the film in a large subscriber base that includes Indian as well as global film industry veterans and professionals like directors, producers, investors etc. 6. Promotion of the film on our strong social media network & YouTube subscribers. 7. Option available for Online Premiere for feature films & celebrity short films. 8. 40.5% Revenue Share from YouTube & other platforms. (Upto 50% share for Short films/ Web Series featuring known actors or director). 9. Filmmakers who distribute their films through Six Sigma Films will get special offers/support for funding next film through ... Film Funding Network. 10. Even after releasing film on our channel, you can submit your film to any film festival which do not demand licensing rights. If you want to distribute your Short Film, Documentary, Webseries, Feature Films etc & upload it on our YouTube channel, please mail film links/details along with your contact numbers to - coffishorts@ gmail.com. We will revert back & your film will be up in no time. According to FilmmakersFans.Com: "Six Sigma Films is One of the largest short films distributors and aggregators of the country. You submit your short film to them, they pay you and if they like it, they will arrange for it to be broadcasted on any TV Channel that is willing to air it. They are not exclusive with NDTV, but their films have been aired on many other news channels. 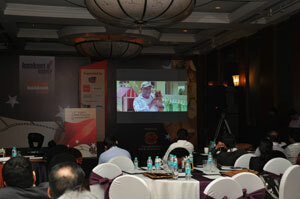 Their youtube channel is also a showcase of several short films". "Six Sigma Films is now providing new opportunities to Indie Filmmakers to make money for their Feature Films, Short Films & Documentaries from YouTube, OTT, IPTV, Mobile & other platforms." ... Click Here To Read More . Young Filmmaker Cell (YFC) :- You get opportunity to get Membership of YFC. It comprises of promising directors, production & creative team members, writers, cinematographers, editors, casting directors & more. Talented Filmmakers will also be considered for future projects of Six Sigma Films & its Associates. Our YouTube Channel has short films, Documentaries, Videos under all the genres from India across the globe. YFC is a platform to mentor, guide & help talented young filmmakers . We have one of the largest Facebook Group for "Short Films & Documentaries" with large community of Independent Filmmakers worldwide. Network, Connect, Collaborate & watch popular & award winning movies & also get filmmaking tips.